We have seen several colorways of the Air Jordan Retro V.1 for the past few months. This month, another one is slated for release and is expected to get attention once again. 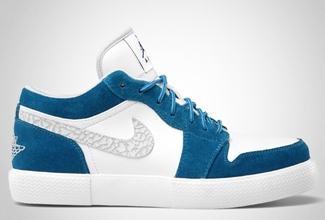 This lifestyle shoe, which is patterned from the Air Jordan Phat 1 Low, will be coming out in Military Blue/White – Neutral Grey colorways, which still features the elegant materials used in the previous editions of this shoe. If you are looking for a new kick this summer, this one is highly recommended!